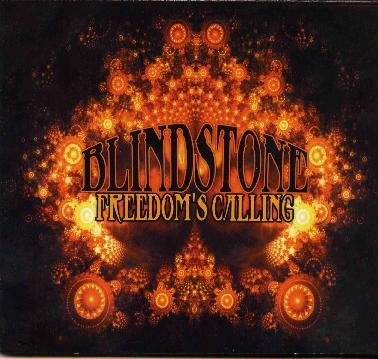 Blindstone are a band from the West coast of Jylland in Denmark and this is their second record but the first that I have heard. I can say right now that there is no other band that sounds like this band that I am aware of in Denmark. Think of these guys as the Danish Gov’t Mule with some other heavy elements from the 70’s as well but not that interesting lyrics. The CD opens with some ripping guitar and the title track. This gives you a taste for what is to come. Can’t be with You really has a Gov’t Mule like feel. Fear is a heavier and dark track again with some really great lead guitar work and a bit less wah pedal! Martin is for sure what I would call a wah pedal addict! Good Time opens with that wah guitar and a heavy riff. Great long guitar solo at the end of the track. She’s so Pretty has some really cool psychedelic mixed guitar that pans around the soundscape. Sugar Room starts with a really cool distorted bass line before the really heavy guitar riff kicks in! Waste a Little Time on Me has these nice falsetto backing vocals that almost sound like a woman but it is a nice effect. I’d Quit has a huge guitar sound and heavy riff. The last minute of the track is left to Martin to rip it up on the guitar. Hang on to my Love is a pretty ordinary heavy rock track and one that might get some airplay due to it’s about love and the chorus is repeated many many times. Next up is Had Enough, a cover of Frank Marino’s Full Circle LP. Impressive... the original vibe is maintained but the band somehow make it more powerful and heavy and Lance Lopez does some amazing duelling leads with Martin. Great version. The CD ends with a really long Hendrix inspired laid back version of the title track. After one minute of silence and pretty psychedelic piece of music is performed with beautiful guitar work. This is a really cool record. It is rare that I hear a band from Denmark that impresses me much these days. The band still do as so many Danish bands and stick with too much a formula and nearly all the songs are the same length (4-5 minutes) and not writing very interesting lyrics for the most part. Still, this is a great CD. 5 out of 5!